It came to light on Thursday afternoon that something was seriously wrong when I got a phone call from a colleague in London telling me that Phil Baxter had died on Wednesday evening of a heart attack. I got the news confirmed and was shocked that my old friend from Studley had indeed died aged 46. 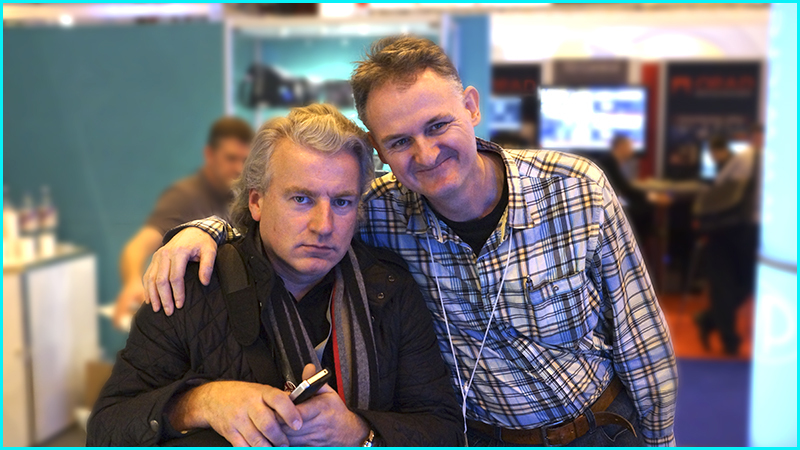 I bought my first non linear edit suite from Phil at least 8 years ago and travelled all the way down to Studley to pick it up, Phil was a good laugh and very helpful. History. Phil was an accomplished cameraman himself before he decided to swap sides and become a professional video retailer. 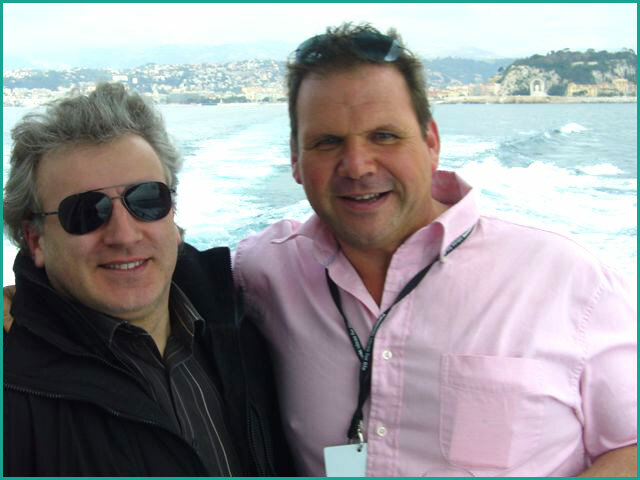 About 10 years ago Phil approached John Preston to see if he would supply video recorders to him at a reduced rate and struck a deal. Although John is a competitor to CVP he has nothing but praise and admiration for Phil and they remained good friends. CVP “Established in 1986, CVP has grown to become Europe’s most dynamic supplier of broadcast technology and services to the television industry, with customer service at the heart of everything we do. Our growth was entirely organic until January 2008 when we acquired Mitcorp (UK) Limited in a take-over funded by RBS corporate finance. In May 2009 we expanded further through the acquisition of GearBox (Sound and Vision) Limited and in July 2010 Total Audio joined our portfolio. Our services include equipment sales and support, consultancy, broadcast engineering, system design, system integration and broadcast equipment rental. We currently employ over 70 full time staff across 6 locations and despite what has undoubtedly been a very challenging trading environment during the last two years our annual sales have grown to exceed £34m whilst generating a pre-tax profit of over £2.5m. Phil Baxter was a retail genius building CVP from such small beginnings to an empire in just over ten years, CVP has become a giant in the UK professional video marketplace and has the best web site by far. Phil was not only a trendsetter but foresee many market niches that makes CVP such a strong company today, I have no doubt that his partner and wife Alison will carry Phil’s legacy forward well into the future. Phil leaves his wife Alison and two lovely teenage daughters and a stream of very sad cameramen and women all over the world. Mr Baxter it was an honour and pleasure to have known you…RIP my friend. 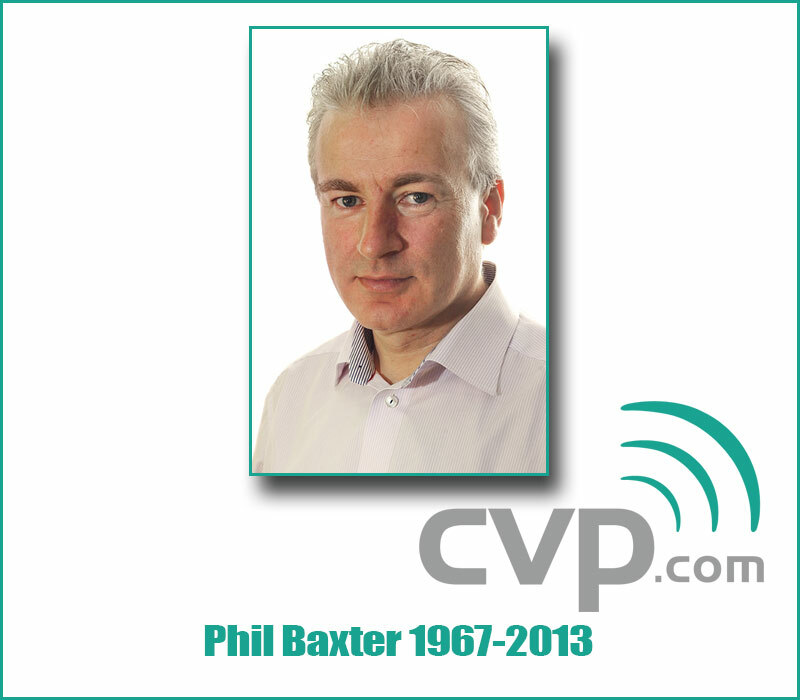 CVP’s official statement “It is with deepest sadness that we share the news today that Phil Baxter, the owner (alongside his wife Alison) and CEO of CVP, passed away suddenly on Wednesday 4th September. Phil leaves behind a company that has gone from strength to strength since he started it in 1986. In recent years the company has grown to over 90 staff in six locations with a turnover of £55m. Phil’s desire for CVP to be the leading supplier of broadcast products and solutions, resulted in him creating the industries most comprehensive and informative website, a highly skilled service orientated workforce and most recently Iris, the only industry magazine that is written by technology users. As Phil would have wished, it is business as usual, and everyone at CVP is committed to the continuation of his vision.